Cheryl Gibson is the President of Von-Jac Developments, Inc., and has been an active participant in the construction industry for most of her life. Formally entering the industry as a full-time employee in 1975 with her father, Gordon W. Hanson, and his partner, C.A. “Triff” Trifeletti, Cheryl ultimately led several companies through good and bad economies. 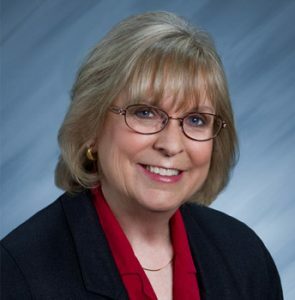 Although her employment career originally began as a social worker, Cheryl grew up working on projects alongside her father and his business partners helping to complete 140 subdivisions, apartment buildings, shopping centers, industrial buildings, churches, schools, convalescent homes, shelters for abused women, housing for the mentally ill homeless and numerous custom homes. Throughout the years, Cheryl has served as President of the North State Building Industry Association, Chair of the CBIA Affordable Housing and Land Use Task Force, board member of the Placer County Contractors Assn., President of the SPCA, Chair of the SPCA’s BBQ & Blues event for over 10 years and has volunteered her time with Sierra College Construction Trades Program, Roseville High School Geometry in Construction Program, HomeAid, Auburn Boys and Girls Club and various other organizations and projects. Cheryl was awarded Builder of the Year by the North State Building Industry Association in 1996, won the Community Improvement Project of the Year from the Placer County Builders Association in 2012 and was awarded the Builder of Hope award from HomeAid Sacramento in 2013. ​Married to Reed, her husband of 40 years, they have two children and two grandsons. One of the fun family events they do is the Auburn 20-30 Club’s Funk Box Derby, where they build and drive a “funky” soapbox derby car and race it down the hills of Auburn, raising money for the kids in need in their local area.